Check out this beautiful walk-out ranch in a quiet Altoona neighborhood that's close to everything. Gourmet kitchen w/granite, center island w/sink, custom cherry cabinets, pantry and stainless steel appliances. 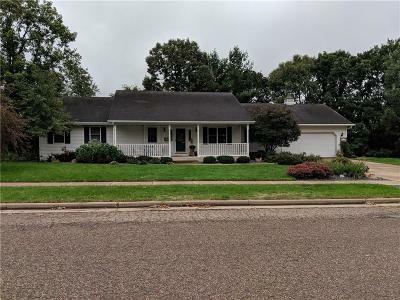 Master suite w/jetted tub, 2 gas fireplaces, vaulted ceilings, large deck, great lower level family room w/built-ins, wet bar and much, much more. Sellers can move in a hurry and you can be in before the snow flies! Call today. Directions: East On Hwy 12 To North On McCann To Right On Devney To Left On Thompson To Right On Knollwood.